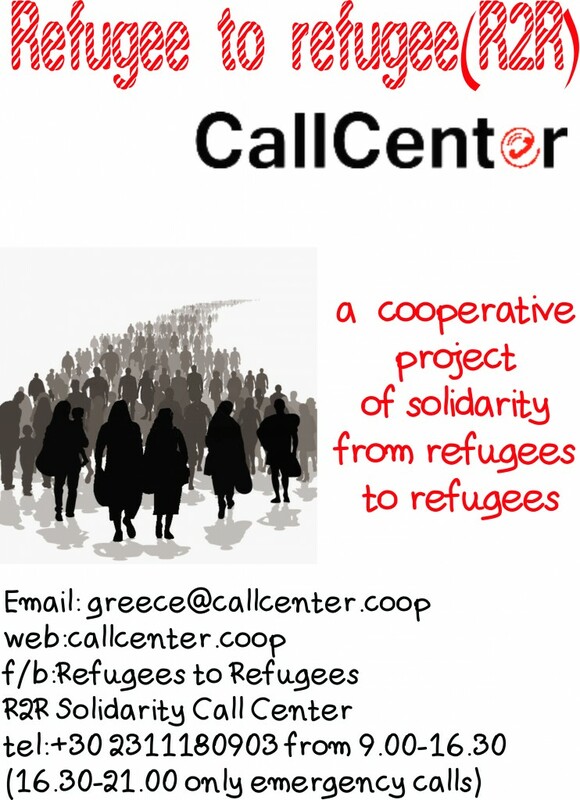 Launch of the phone line of the cooperative Call Center from Refugees to Refugees (R2R)! 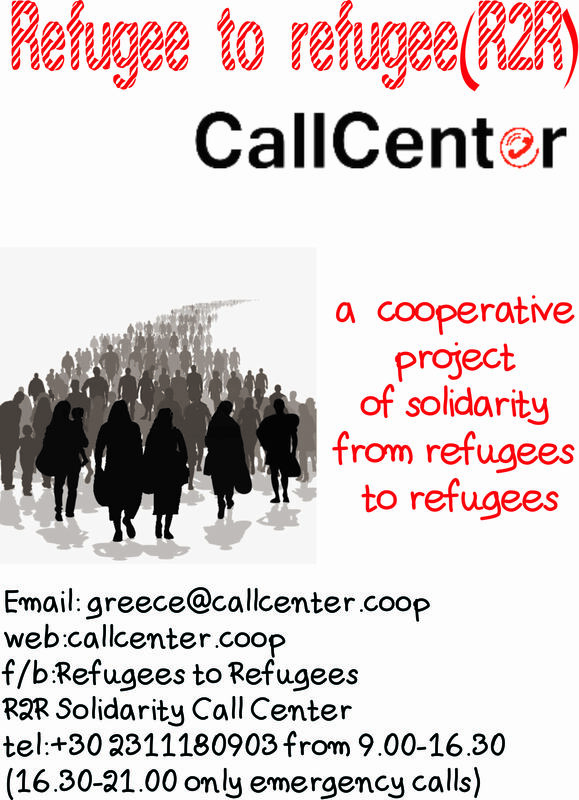 The phone line of the cooperative call service ‘Refugees to Refugees (R2R) Solidarity Call Center’ begins to operate on Thursday 8th September! 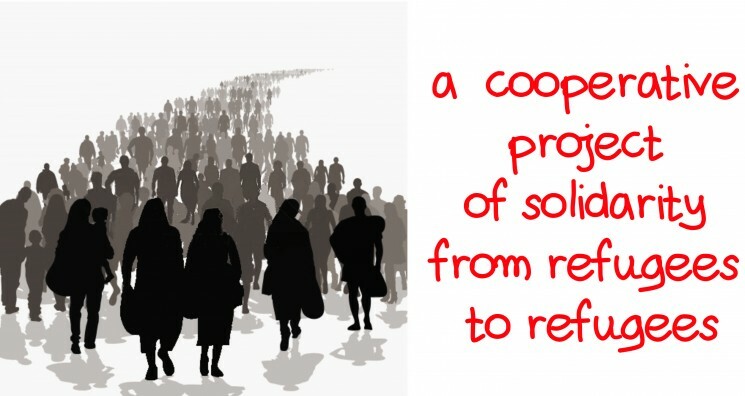 For three months now, refugees and people from the solidarity movement have been working cooperatively together, through open and democratic processes, in order to create a cooperative initiative that will provide information about transit, stay, or settlement in Greece, from refugees to refugees. Thanks to the support of the hackborders team, the asterisk operator was recently set up and therefore the phone line for the call center is now ready! This action will be an important milestone, because it is being developed by refugees themselves who speak the same language and have been through the same difficult experiences in transit. We hope that this can bring a level of trust and sincere collaboration among the people who contact and the people who work at Refugees 2 Refugees Solidarity Call Center. We want to coordinate and interact with numerous individuals and collective initiatives throughout Greece and abroad, to strengthen solidarity with refugees and migrants and to be able to respond to all the common struggles together. With the current situation that refugees are encountering where they are, both in refugee camps and outside, we as a Call Center project can help to strengthen cooperation and communication among people living in concentration and in isolation, away from the cities, the solidarity movement and each other, with limited access to vital information about the common struggles and related latest news. This cooperative project is one of the initiatives that FairCoop Thessaloniki is supporting for building a fair economy ecosystem. 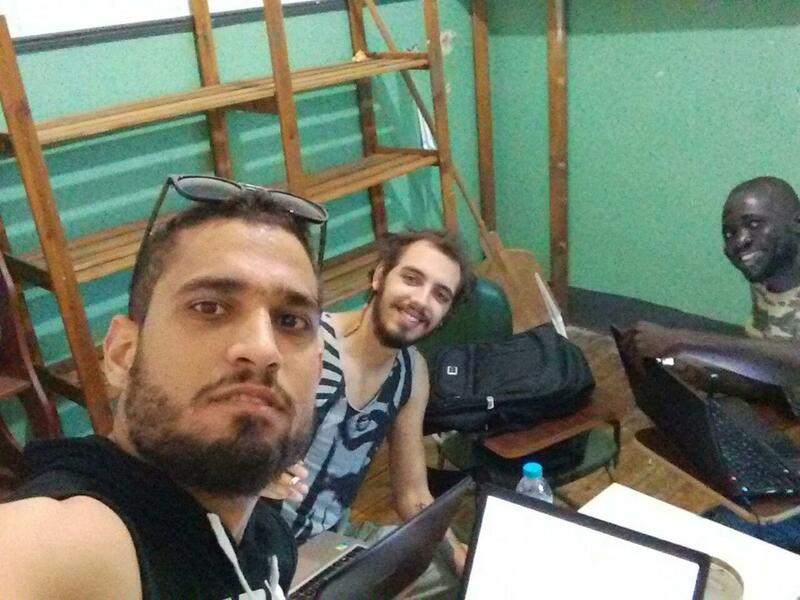 Our vision and objective is the creation and networking of a truly fair and participatory economy from below, open to all the people without discrimination, building bridges between the refugees’ solidarity movement and the alternative economy movement, with experiences like the Refugees 2 Refugees Solidarity Call Center. The funds for the economic sustainability of the project, as well as for the equal distribution among the refugees working in this cooperative initiative, are coming from an international crowdfunding campaign for a collective fund that was created for the development of cooperative refugee initiatives, the Refugees Fund. We call upon all the individuals and groups of the solidarity movement at local and global levels to contribute to the ‘Coopfunding’ campaign and to support the economic sustainability of the cooperative Refugees to Refugees Call Center. The expenses of the cooperative are around 1500 euros monthly and the funds received until now will be finishing this September. More support is needed. In the following link you can see the progress of the campaign so far, contribute (in euros or faircoins) and share the coopfunding campaign with your solidarity networks!